late 14c., from Old French magique, from Latin magicus , from Greek magikos, from magike (see magic (n.)) "Optical instrument whereby a magnified image is thrown upon a wall or screen" is 1690s, from Modern Latin laterna magica (The Magic Lantern). A new kind of school and FE college that specialises in behind-the-scenes media production, digital communications and entertainment technologies. Our curriculum is designed to ensure strong foundations in fundamental academic subjects and build on these with vocational, expressive and industry relevant studies. We support our taught curriculum with our extended projects offer. Our industry partners, along with our own media production company provides opportunities for students to experience working in the technical arts and culture industry. Our cultural landscape is changing rapidly and technology is putting young people right at the centre of this change. The single most important factor in seeing young people achieve highly in this context is that they study something they love and value and that they feel safe, well liked and confident in their learning community. We offer learners aged 14 to 19 a different kind of education to mainstream secondary schools. Firstly we are a specialist University Technical College so the learning environment is ‘grown up’. Students will need to have a passion for our specialisms, be personally motivated and ready to work a longer college day. They will learn how to be professional and employable and how to learn flexibly as technology is media arts practice is evolving every day in our industry. 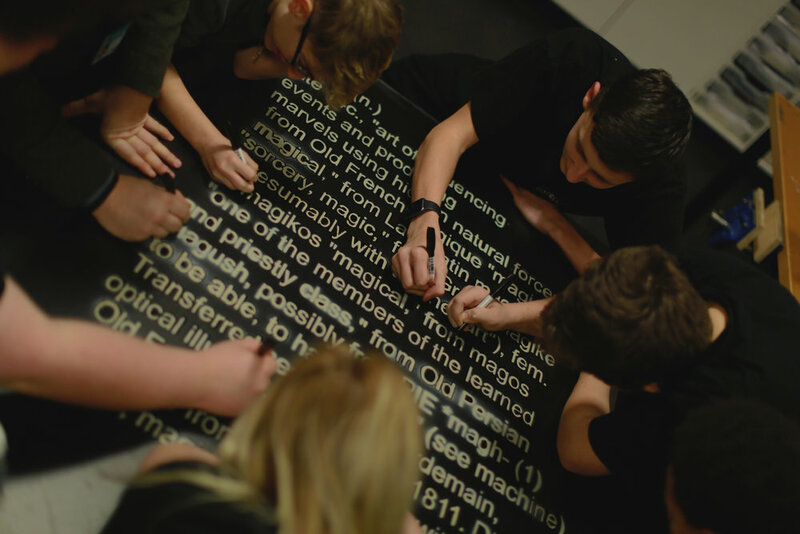 We provide inspiring, creative and practical learning experiences where young people will have opportunities not available at many other mainstream secondary schools including working with our industry partners on professional production briefs. Our staff are highly credible and authentic industry practitioners in their subjects. Post-16 students are able to select courses from a highly credible list of both academic and professionally recognised qualifications. Our status as a university college, partnered by the University of Hertfordshire means that our access to higher education and further learning guidance is high quality. Our practical and industry relevant subjects achieve very high results and even though we are only in our 4th year, we have already seen our alumni go on to study and work in exciting and prestigious organisations. In addition to our courses, students get opportunities to be student leaders, mentors and to work for our own in house media production company where we run a slate of real industry productions including for MOBO, the British Library, Team Margot and Elstree Studios. So far, student artwork and media productions have been nationally broadcast on ITV, won regional film festivals, come top three nationally in App design and been published in lights at Piccadilly Circus.